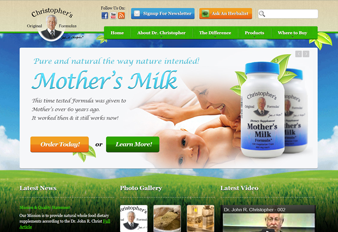 Wholesale Botanicals, LLC offers Dr. Christopher’s time-tested herbal food dietary supplements. These supplements are high quality and all natural. Their inventory includes capsules, cuts, powders, extracts, oils, kits, ointments and syrups. Additionally, these time-honored formulas are used to treat a variety of diseases and illnesses, including adrenal gland issues, appetite suppression, birth preparation, urinary tract formulas, blood circulation, immune system and cold prevention, strong bone formulas, reproductive remedies and many more. Adaptivity Pro offers a wide variety of service to their clientele, all at a reasonable rate. The quality of work performed by the professionals at Adaptivity Pro is exceptional and always catered to clients’ needs. As a Utah based web design and Internet marketing firm, Adaptivity Pro maintains a solid clientele base in the Utah region, but also works with many clients both nation-wide and internationally.